Often seen as the exception to generalisations about Romanticism, Byron's poetry - and its intricate relationship with a brilliant, scandalous life - has remained a source of controversy throughout the twentieth century. 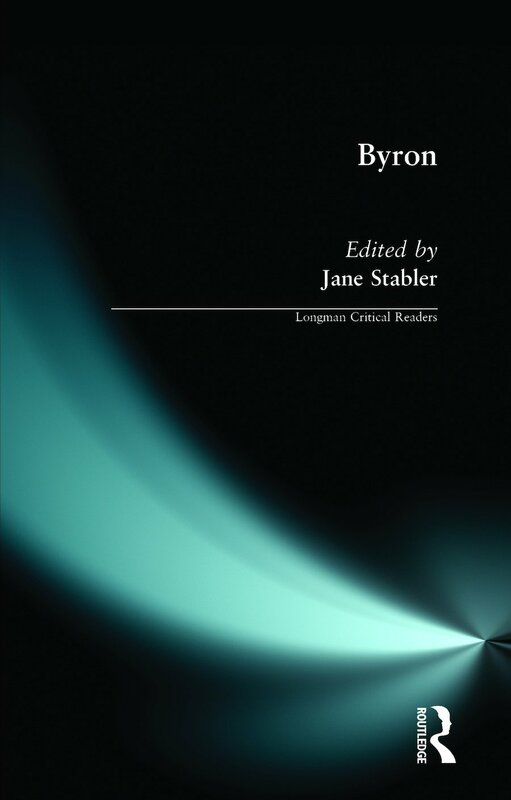 This book brings together recent work on Byron by leading British and American scholars and critics, guiding undergraduate students and sixth-form pupils through the different ways in which new literary theory has enriched readings of Byron's work, and showing how his poetry offers a rewarding focus for questions about the relationship between historical contexts and literary form in the Romantic period. Diverse and fresh perspectives on canonical texts such as Don Juan, Childe Harold's Pilgrimage and Manfred are included together with stimulating analyses of less well-known narrative poems, lyrics and dramas. A clearly structured introduction traces key developments in Byron criticism and locates the essays within wider debates in Romantic studies. Detailed headnotes to each essay and a guide to further reading help to orientate the reader and offer pointers for further discussion. The collection will enable students of English literature, Romantic studies and nineteenth-century cultural studies to assess the contribution that different critical methodologies have made to our understanding of individual poems by Byron, as well as concepts like the Byronic hero and evolving definitions of Romanticism.